Apply for the released NWR Recruitment 2018 from this page. The officials of the North Western Railway has opened the new window for the 24 Junior Technical Associate & Senior Technical Associate Posts to hire the contenders. Interested candidates can apply to the NWR Openings 2018 from 27th August 2018 to 26th September 2018. Moreover, the Offline NWR Application Form will be available on the official site that is nwr.indianrailways.gov.in. From this article, you can get all the details regarding the उत्तर पश्चिमी रेलवे Jobs 2018, post wise vacancies, Eligibility Criteria and also the NWR Application Fee, Pay Scale. Alternatively, you can note down the relevant dates, NWR Selection Procedure 2018, the NWR Relevant Professional Experience too. At the bed of this page, you can get the correct procedure to apply, the direct link to download the Official Advertisement PDF. The lower and the upper age limit will be reckoned as on date of opening of notification for Contractual Engagements. The age relaxation for the contenders belonging to SC, ST is 05 years and for the OBC-NCL (Non-Creamy Layer) contestants is 03 years. No age relaxation is accepted for the SC, ST, OBC-NCL (Non-Creamy Layer) candidates applying against unreserved vacancies. For all the candidates belonging to General and OBC Category should draw the DD (Demand Draft) of INR 500 in favor of the organization. For candidates belonging to SC, ST, Women or Minorities and Economically Backward Classes they should pay the application fee of INR 250 and the DD (Demand Draft) should be drawn. Even the NWR Application Fee paid shall not be refunded to the candidates who applied for the post of STA/JTA, after finalization of the panel for Professional Personality Test. 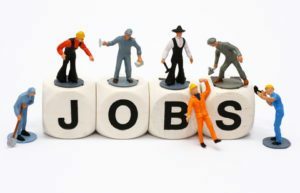 Senior Technical Associate (Construction or Works): The relevant professional experience of minimum 2 years in the Government, PSU’s or Semi Govt. is desirable. And the working experience in the private companies or with private contractors, executing works in or for the Government, PSU’s or Semi Govt, will also be considered. 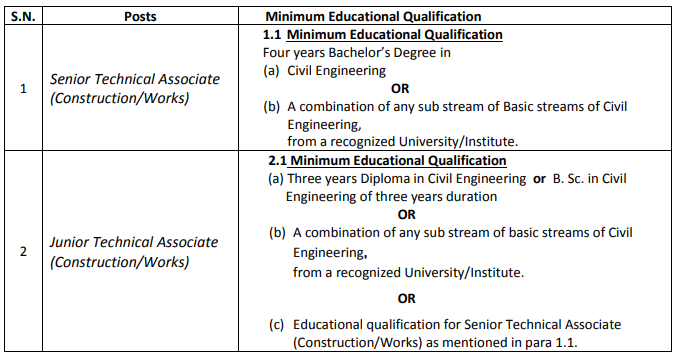 Junior Technical Associate (Construction or Works): The relevant professional experience of minimum 1 year in the Government, PSU’s or Semi Govt. is desirable. Also, the working experience in the private companies or with private contractors, executing works in or for the Government, PSU’s or Semi Govt, will also be considered. Wannabees who are going to apply for the NWR Recruitment 2018, will have the Screening and Professional Personality Test. Applications duly filled in prescribed format as mentioned in the notification under NWR Recruitment 2018 along with required self-attested documents should be sent only by ordinary post in a closed envelope. Elsemore, candidates can drop the application form in the application box of the address below. On the top of the envelope “Engagement as Technical Manpower on Contract basis in North Western Railway or Construction Organization” should be superscribed. Contenders should submit before 26th September 2018. For any other queries regarding the NWR Recruitment 2018, candidates can visit our Sarkari Recruitment website on a regular basis.